Ready Reminders are versatile, vertical "charts" that add flair and style to any classroom. Eye-catching graphics on adorable circles hang from a Ribbon Runner topped with a decorative star. These space-saving displays are sure to catch your students' attention. Ready, set, get creative! This set includes 3 customizable displays. 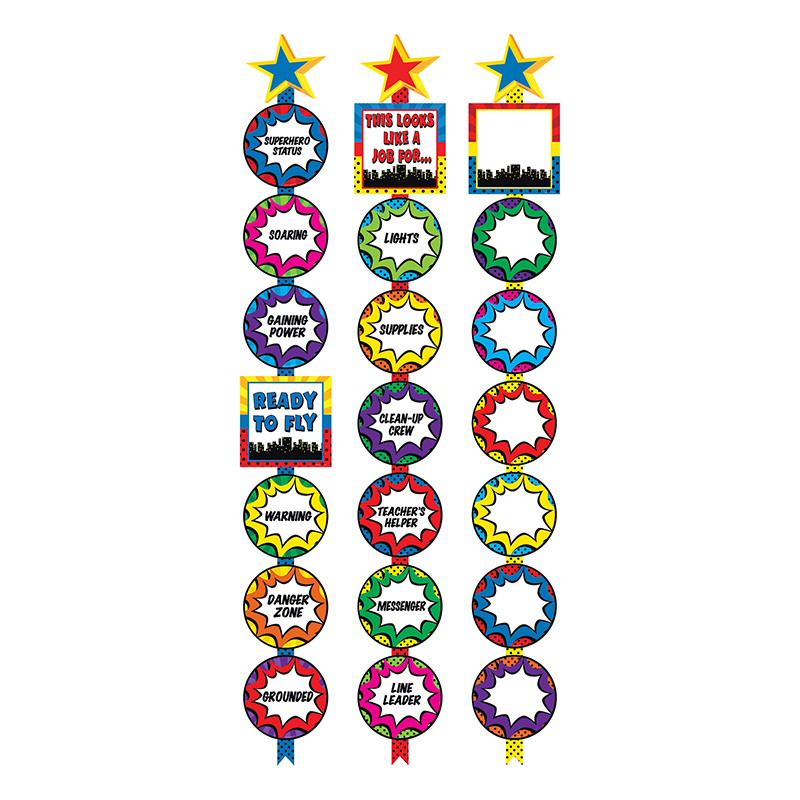 Package includes 18 circles, 3 headers, 18' single-sided Ribbon Runners, and 3 decorative stars.